Following back to back sold out tours, Dancing with the Stars: Live! is taking its all new production on the road. Fans of Dancing with the Stars, ABC’s leading entertainment show, produced by BBC Worldwide Productions, will be given the opportunity to see their favorite stars dance live in Boston. The Dance All Night Tour is bringing a one-of-a-kind touring production to the Citi Performing Arts Center Shubert Theatre. Launching this winter, Dancing with the Stars: Live! 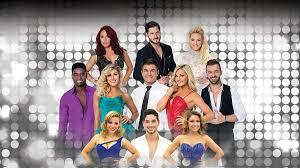 – Dance All Night Tour features a bigger cast than ever before including pro dancers Lindsay Arnold, Sharna Burgess, Artem Chigvintsev, Valentin Chmerkovskiy, Keo Motsepe, Peta Murgatroyd, Emma Slater, Alan Bersten, Brittany Cherry and Jenna Johnson with more casting to be announced*. In this all new production, the dancers are freed from the ballroom to bring you a 90-minute action-packed live show. Audiences will watch exciting and romantic performances, from choreography never before seen on Dancing with the Stars, to some of the most memorable numbers from show. Tickets for Dancing with the Stars: Live! – Dance All Night Tour are for sale. For up to date information and to purchase tickets, go to citicenter.org, call (866) 348-9738, or visit the Citi Center Box Office. VIP packages will be available through VIPNation.com, giving fans the chance to purchase premium tickets, meet and greet opportunities with the cast, exclusive merchandise and photo opportunities. Category: Events · Tags: Dancing with the Stars: Live!